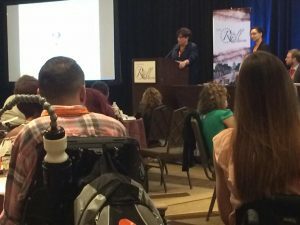 Washington D.C.- Members of United Spinal Association of Va. joined 150+ advocates, from across the United States and Puerto Rico, to participate in the 6th Annual Roll on Capitol Hill June 11th- 15th. The event was organized by United Spinal’s national organization. Daniele Joseph, Bill Fertig, Sharon Drennan, and Richard Bagby represented the Virginia chapter in order to garner support from Senators and Representatives in order to enact much needed legislation that protects the fundamental rights and services for disabled Americans, specifically those living with SCI/D. Sunday evening was the kickoff reception. Advocates reconnected from past events, and met fresh new faces ready to begin their advocacy on the federal level. Attendees enjoyed a performance by the Rollettes, a California based adaptive dance company led by Push Girls’ own Chelsie Hill. Monday, the group participated in a day long conference. USAofVa Exec. Dir., Sharon Drennan took to the podium to give a comprehensive update on the state of research centered around SCI/D in the United States. The rest of the day was filled with panels educating the advocates on the position papers they would be advocating for, as well as opposing. The position papers can be found here. 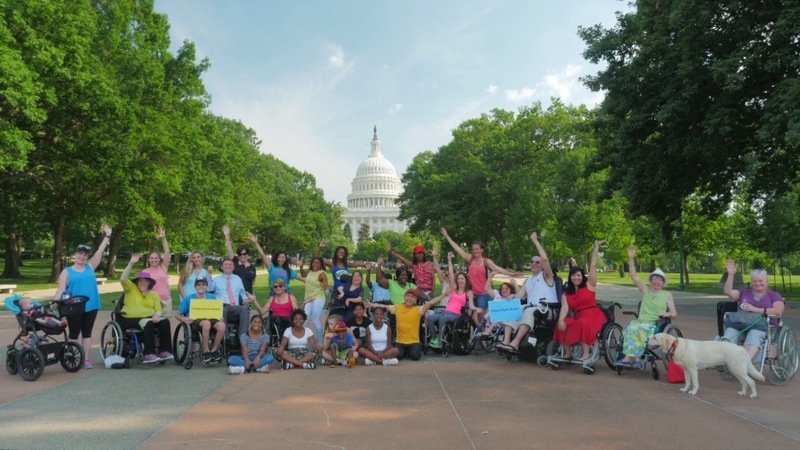 On Tuesday, the advocates took to “The Hill”, for a jam packed day of lobbying for common sense policy that would improve the lives of the SCI/D community while benefiting the American taxpayer. The Virginia contingency met with legislators from the commonwealth, as well as their staffers. At the conclusion of the day, members of USAofVa participated in a “flash-mob” dance routine to raise awareness for the disability community. 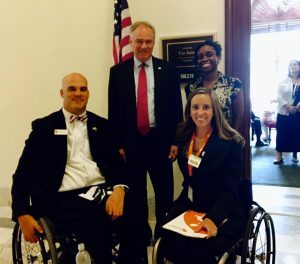 In the end, we had an incredibly successful week lobbying for the SCI/D community, and expect to see some crucial bills passed that will improve the quality of life of disabled Americans, especially those living with SCI/D! This entry was posted in Blog, Featured on June 17, 2017 by United Spinal.